No! 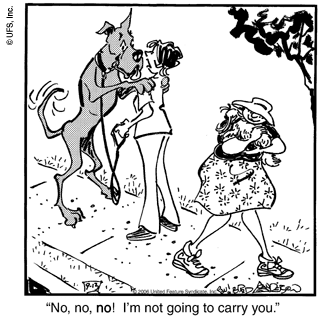 I won't carry you. But will take a bullet for you! Recently, I had the privilege to visit France as part of a group social entrepreneurs, aspiring social entrepreneurs and students studying social entrepreneurship at INSEAD - yes, it is indeed the trendy new bandwagon in development. (Even Hillary Clinton endorsed it In Speech and In Deed recently). It was an interesting and supportive experience to share our thoughts with many like-minded people and professionals so far from home. I returned with a head full of thoughts about our work to date and our strategic direction for the future - and the thoughtful support of trustworthy people with our best interest at heart. It was an empowering and foreign experience (to be really honest) - this receiving side of entrepreneurial support. One of Uthango's key programmes in the past - recognised by the Impumelelo Innovations Awards Trust (some pictures via link)- is called 'Poverty Alleviation through Social Enterprise Support in Communities' and it focuses on providing training, personal development (coaching) and business mentoring services to micro-entrepreneurs with the potential to make a difference. "All of a sudden" (as a friend would say) I found myself on the other side of the spectrum in a reversal of roles and I had to trust a process that we did not design nor had much influence over at the time. In the programme, each social entrepreneur was 'allocated' a 'mentor/coach'. This (in itself) was an interesting 'first' as social entrepreneurs and non-profit leaders traditionally travel the road of their cause or (com)passion fairly alone - at least in my experience and view. It is not the popular option to be an entrepreneur in a developing country, such as South Africa, where there is a high premium and status attached to being employed in the formal sector. Compensation is low and working environment tough. For me, it felt like gaining an instant friend for our business that I just had to get to know better. Someone to carry a bit of me - not all of me! I explored with the dynamics of the relationship and trusted her with business 'inside information' and my expectations were exceeded. Granted, I find the existing definitions and clarifications of mentoring versus coaching stale and uninspiring and we had to carve our own way forward. How do you describe someone who is trusted as a close friend, with much-needed expert professional knowledge about another industry, and an analytical, critical open-mind to defy all definitions and design a relationship devoid of power politics and personal agenda? I had to resist the urge to climb onto the back of this newly 'assigned mentor' and sigh with a relief: "Carry me, Carry me". 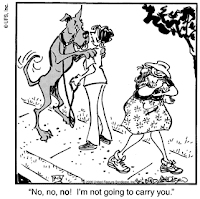 After all - THIS would not be the ideal scenario: Apart from me breaking the back of the new trustee with my local burdens of our work, it would slow me down; it would slow all of us down. The role of a consigliere is a remnant of medieval times when nobles of a conquered court would make themselves available to the new monarch. Asking too much? Yes, maybe - but why not? Our social businesses ARE different; and it does ask for more risk - more reputational risk, on our side and on the sides of those aligned to us. Some argue the risk is less, because it is a social enterprise, and less money is involved. Nonsense. Much is at stake. Therefore, make the choice carefully, but when you do become involved with a social enterprise, expect the journey to be exhilarating and rewarding. It is an exciting time for us and there are so many people that are turning to us to ask how they can assist us to scale our initiatives. We are realigning and in this process, we are choosing the friends of our business, and they are choosing us... I am encouraged - not by definitions or programmes or activities of support, but by the expressed good intent of people and the selfless demonstration of their belief in the approach we follow to development and the sincere desire we share to have social impact way beyond ourselves.